As this fall semester heads toward the end, the departments of the undergraduate programs at KAIST held introductory briefing sessions for freshmen and for those who are still undecided on their majors. A survey of the KAIST students’ satisfaction level concerning cafeteria food and services was carried out during the lunch and dinner periods from November 8 to 10 at the respective cafeterias. The surveyed cafeterias are Samsung Everland’s Eastern cafeteria, Western cafeteria and Hanwha Resort’s Northern cafeteria. KAIST’s Department of Industrial Design (idKAIST) and UXEYE jointly held the 2010 UX Symposium on November 8 at the Construction Hall located in Nonhyeon-dong, Seoul. One thumb not good enough for your smart phone? 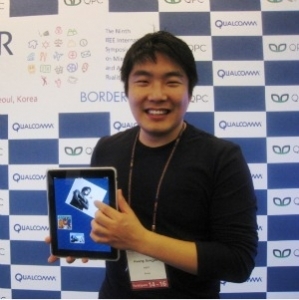 28-year-old Sung Jae Hwang of KAIST’s Graduate School of Culture Technology developed a Virtual Thumb technology that overcomes the difficulties of using smart phone screens with one thumb. The International Student Innovation & Entrepreneurship Conference (ISIEC) 2010 was held at KAIST’s Daejeon campus from November 18 to 20. The conference was hosted by KAIST Graduate School of Innovation & Technology Management (I&TM), Office of University-Industry Cooperation, and organized by Asia-Pacific Student Entrepreneurship Society (ASES) Korea. A school-wide event that opens laboratories to the general public, ‘OPEN KAIST 2010’ was held on November 4 and 5. This biennial event, which began in 2001 and is held in tandem with ‘SEE KAIST,’ has now held its 6th event. It is one of a few representative programs opened in KAIST for the public that promotes popularization of science and scientific culture. 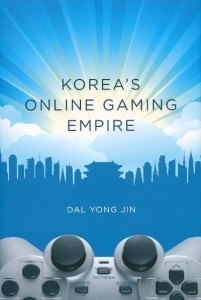 Professor Dal Yong Jin of KAIST’s Master of Science Journalism and School of Humanities and Social Science recently published a monograph about Korea’s online gaming industry through the MIT Press. This is the first instance of a Korean professor publishing a monograph dealing with new media through the world-renowned MIT Press. Sung-Chul Shin, chair-professor of the Department of Physics at KAIST, has been elected to become the 24th president of the Korean Physical Society (KPS). 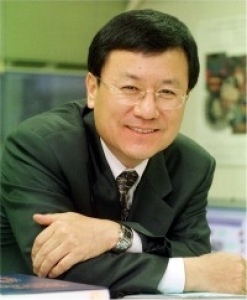 Professor Shin is to take up the position on January 1, 2011 and will hold this position for two years. On October 30, the coffee-and-waffle shop Caffe Bene opened an outlet on the first floor lobby of the KI Building after 15 days of construction. This is the second chain of the Caffe Bene franchise to open within KAIST, after the first store opened in the Undergraduate Food Court in 2009. Saudi Arabia’s Minister of Higher Education, Khaled bin Mohammad Al-Anqari, visited KAIST on October 26 to sign a joint agreement. The Minister was accompanied by President Abdullah bin Abdularhman Al-Othman (King Saud University), President Osama bin Sadiq Tayeb (King Abdulaziz University), and President Khalid bin Salih Al-Sultan (King Fahad University of Petroleum and Minerals). A new way to synthesize various 3-dimensional architectures from organic materials has been found, signaling the start of “functional artificial protein development.” KAIST professor Hee-Seung Lee announced on September 28 that if a molecule is made so that molecular interaction in three different directions can be controlled finely, various 3D organic architectures could be synthesized. An obstacle standing in the way of commercial electric vehicles has been significantly reduced. KAIST professor Do Kyung Kim of the Department of Material Sciences and Engineering developed a Lithium-Manganese Oxide nano-wire for use in Lithium-ion secondary batteries. This material has 100 times more power density than traditional cathode materials for Lithium-ion secondary batteries. On September 19, the 19th KAIST Clubs Union released the final results of all the clubs’ room relocation in 2010. Once in two years, the KAIST Clubs Union evaluates each club’s activity and reassigns the 51 available club rooms located in West Student Center-1, Tae Wul Gwan, North Student Center-2, Munji Campus and the Sports Complex, to the 74 registered school clubs. The KAIST-produced CG animated film, “Captain Banana”, has been selected for the SIGGRAPH Asia 2010 animated film festival, the biggest computer graphic exhibition in Asia, which will be held in COEX, Seoul on December 15 through 18. “Captain Banana” was produced with exclusive technologies of Professor Junyong Noh’s team from KAIST Graduate School of Culture Technology. The newly opened Jane and Neil Pappalardo Medical Center, or the KAIST Clinic, provided the annual health checkups this year, replacing the previously outsourced staff and equipment. The health checkups for this year were thus organized and executed much more efficiently. Built to serve the KAIST family, it primarily functions as a small-sized clinical hospital and not as a research hospital. The International Workshop on EEWS took place over two days from October 7 to 8 in the KI Building’s Fusion Hall at KAIST. The theme for this year’s conference was “Creating New Industries with EEWS” aimed at exploring new research areas and innovative technologies in alliance with leading research institutes and industry partners. On September 19, KAIST verified the safety of the On-Line Electric Vehicle (OLEV) from electromagnetic radiation hazards, after having assessed its radiation levels this past June and September. The radiation turned out to be in the level of 0.05-61mG, which is within the national standard of 62.5 milliGauss (mG). The On-line Electric Vehicle (OLEV), created and developed by KAIST, has embarked at last on a full-fledged expansion into the U.S. market. On September 24, KAIST President Nam Pyo Suh visited Park City, Utah to meet with representatives from the Energy Dynamics Lab (EDL), with which KAIST signed a Letter of Intent for the promotion of OLEV technology last August. October 10 to 11 saw KAIST hosting the annual International Presidential Forum at the Westin Chosun Hotel in Seoul, Korea. The Forum is a brainchild of KAIST President Nam Pyo Suh, who began this tradition with a view to encourage cooperation between numerous research-oriented universities from around the world.